Park Seo-Joon mentions his friendship with BTS’ V, Park Hyung-Sik, and Choi Woo-Shik and reveals how they all became close despite the age differences! 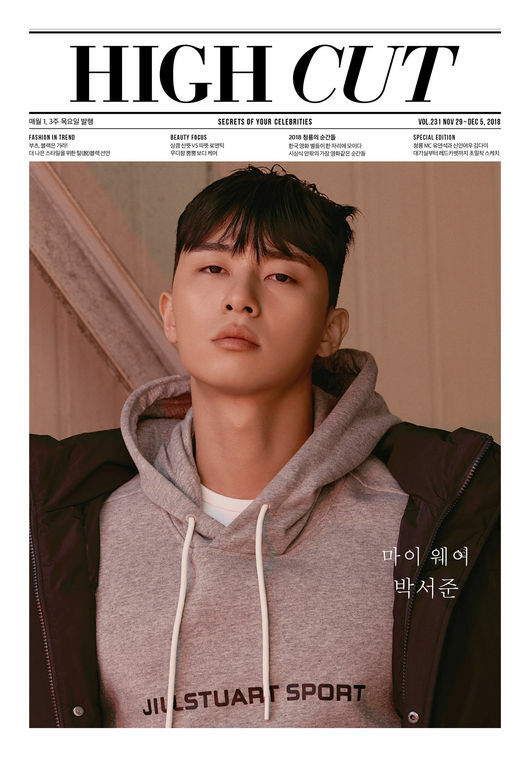 For the December issue of Star Style magazine ‘HIGH CUT,’ actor Park Seo-Joon so gracefully decorated the cover. He showcased a variety of “street style” outfits, much different from the image we had established of him with a suit and tidy hairstyle. At last, Park Seo-Joon mentioned his friendship with BTS’ V, Park Hyung-Sik, and Choi Woo-Sik. More specifically, the actor explained how they became so close despite their age differences, which plays a significant role in developing relationships in South Korea.